In this Beginning Genealogy class, you will learn how to get started in genealogical research, including where to look and how to organize what you find. You will be shown how to use newspaper archives and county and state vital records, as well as how to interview family members. Techniques and tips, using some short cuts and alternative methods to find information will also be shared. Each participant should take a notebook to this class. This course will be on Tuesday, May 8 from 7-9 pm in the Sioux Center Library. Tuition: $39. Marjorie Brunsting and Wilma J. Vande Berg will be the instructors. Marjorie has been doing research since the 1970’s. She was instrumental in starting the local Genealogical Society and indexing Sioux County cemeteries. She is a member of the Iowa Genealogical Society as well as the Greater Sioux County Genealogical Society. Wilma has been doing genealogy research for the local society since its beginnings in the early 1980’s. She has been an officer for many years and has been headed the department’s acquisitions and archives. 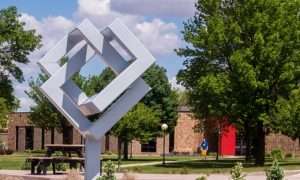 To register, call Northwest Iowa Community College at 712-324-5061 or 800-352-4907 and ask for Continuing Education or register online at: https://nwicc.edu/continuing-education-courses/.